Quite simply, advance funeral planning is a gift. A gift for those you care for most. A gift that’s priceless, immeasurable and sincere. It is the gift of making a difficult time, a little bit easier. Advance funeral planning is the process of discussing, defining and recording your specific and unique funeral wishes with your funeral home provider long before the services, ceremonies, traditions and rituals are needed. These kinds of important choices and decisions are better made at a time before the need arises, when most of us think more clearly. Those who pre-plan allow for their families and loved ones to be focused on what’s most important to each other and their journey through grief into healing. Advance planning allows you to resolve your most personal matters with a clear mind, in a peaceful and relaxed atmosphere. Together with your funeral home you can decide what type of service you want and how much you want to spend. You can prepare a few details or every moment. Each aspect of the planning is completely up to you and in your control. The 3 Pieces To Creating A Complete Funeral Plan. 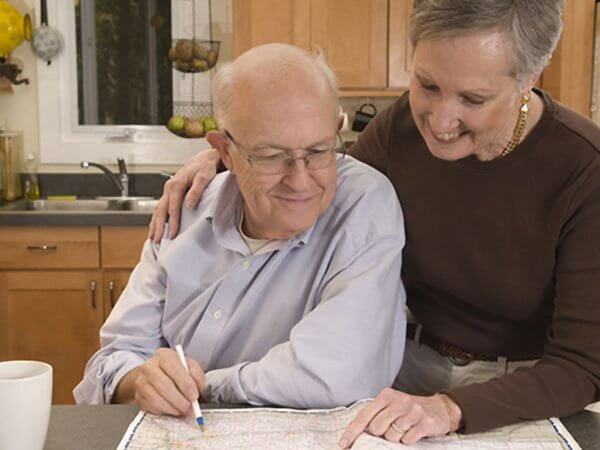 It is important that your funeral home file include your personal vital statistics. This information is used to fill out legal forms, required documents, and permits. It is also recommended to put together some obituary ideas – as this will also be helpful to your loved ones. This step is about mapping out exactly what you would like for your funeral services. This will include noting the type of service, the form of disposition, specific merchandise and details. Meeting with one of Crawford Funeral Home’s Advance Planning Consultants is essential is creating the guide. Our Planners know all of your options and can help you design the type of service that is unique to you and your personal choices. Once you’ve determined the type of service that meets your family’s needs, we will provide a complete cost estimate. The next important step is to determine how your plan will be funded. Crawford Funeral Home offers specialized insurance options that allow you to set the funds aside for your specific final wishes, while remaining protected and secure until needed. There are many ways to handle payment, including single payment or payments over time. Our program will allow you to keep the funeral costs within your budget and will relieve the financial burden for your family or loved ones. All three of these pieces can be done separately or together. Your complete funeral plan can be accomplished with one simple visit. We can come to your home, or you can come to ours. Each step makes things much easier for your survivors and loved ones. Our planning program is free and thorough. If you have preplanned with another funeral home and now are unhappy with that decision; it is a very easy process to have your personal funeral plans transferred to Crawford Funeral Home. Please contact us and we will walk you through the simple process.